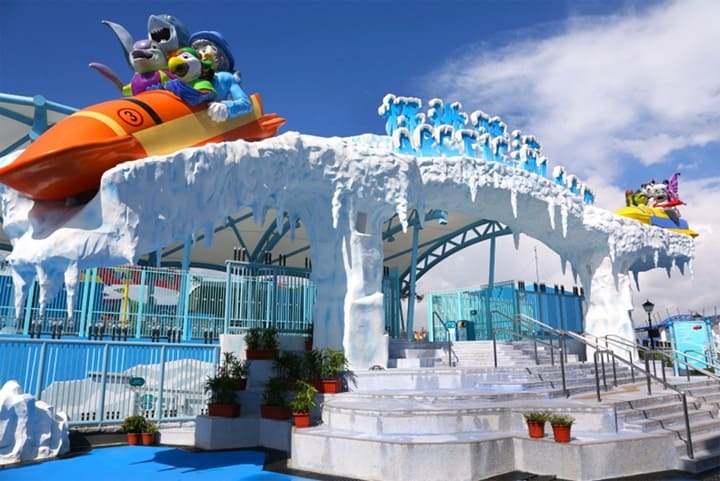 The Ocean Park Polar Adventure located in the park’s Summit Area features a world-class frosty exhibit area and one more roller coaster to add to Ocean Park’s fun array of rides. This new area showcases several species of penguins, walruses and seals, enhancing the park’s existing collection of precious animals which includes Giant Pandas and the rare Golden Monkey. Ocean Park’s Polar Adventure aims to educate the public about the perils of global warming affecting the Arctic and Antarctic regions and how this is affecting the natural habitats of these species who dwell in these areas.